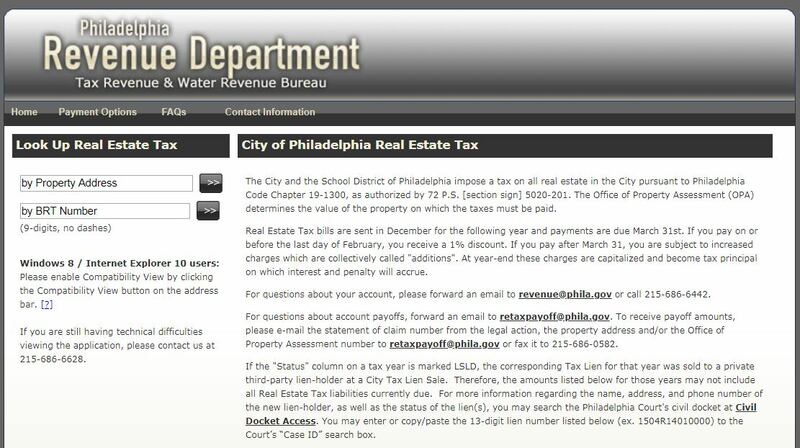 An online database and look up tool developed by the City of Philadelphia Revenue Department that enables users to locate real estate tax information for an individual property. Users can search by property address or BRT number. Search results include customer information for the property and tax balance information for the previous ten years. Payment links and options are available.